Philip Brown is a Partner in Clarke Willmott’s Commercial Property team and undertakes a wide range of property work with a particular emphasis on commercial and residential development and the securing of development and project finance. Philip regularly acts on behalf of national, regional and local developers in respect of strategic acquisition and development projects and for landowners who are disposing of land for development, as well as acting for banks, building societies and alternative lenders in relation to secured lending for development projects. Philip also counts a number of significant investment companies as clients. 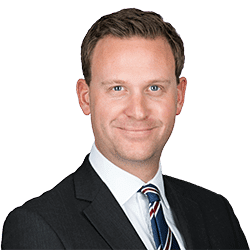 Philip is recommended in the 2019 edition of Chambers and Partners legal directory in the field of Real Estate (in the band, Up and Coming), having been described as “…very commercial, efficient, quick to respond and thorough” having been previously ranked in the same publication in 2018 where he was described as “very commercial, very efficient and very thorough”. Philip is also ranked in the latest (2018) edition of the Legal 500 in the field of Banking and Finance, where he is described as “balanced and accessible”. Philip joined Clarke Willmott in January 2012 after studying at the universities of Essex, Westminster and Bristol, and the College of Law, and having previously practised at Foot Anstey and Michelmores. Strategic acquisition and disposal. Acting for both national, regional and local developers and promoters in respect of the strategic acquisition of residential and commercial development land including drafting and negotiating options, conditional agreements for sale and purchase and collaboration and promotion agreements. Philip also acts for landowners in respect of similar matters. Development. Acting for both national and regional developers in relation to their acquisition of significant development sites for the undertaking of residential, commercial and mixed use development and the drafting and negotiation of ancillary documentation including in respect of overage, easements and infrastructure. Secured lending. Acting for banks, building societies and alternative finance providers in respect of both acquisition and development funding.